The JCR/Honda Team grabs two more podiums and the lead in PRO / Women’s PRO points after round #2 at AMA NGPC! This weekend, the NGPC series landed in Taft, California. The Dirt Digger’s MC hosts a really great event at “Honolulu Raceway”. 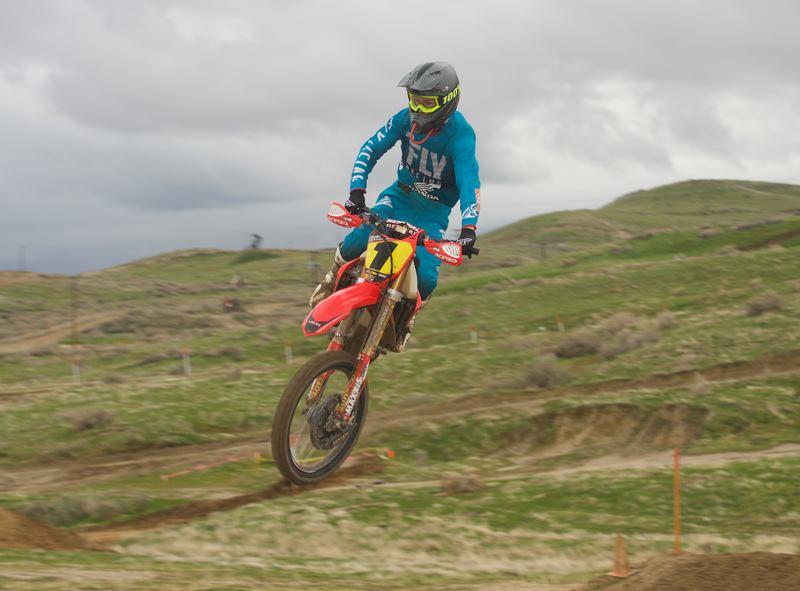 The natural outdoor track winds its way up and down the grassy, rolling hills, through canyons and shoots, combined with a groomed MX track totaling 9 miles of challenging fun. Over 1600 ENTRIES, 2900 spectators, families, their motorhomes and trailers full of bikes dotted the rain-soaked hills this weekend. 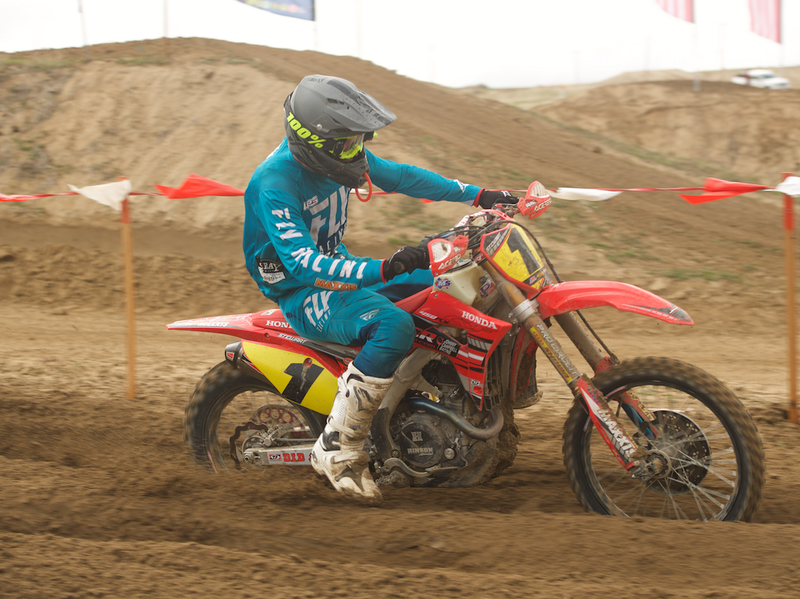 JCR/Honda’s Trevor Stewart ran strong from the start, grabbing second place out of turn one. Trevor ran a smart, methodical race which was 80% in the rain today. 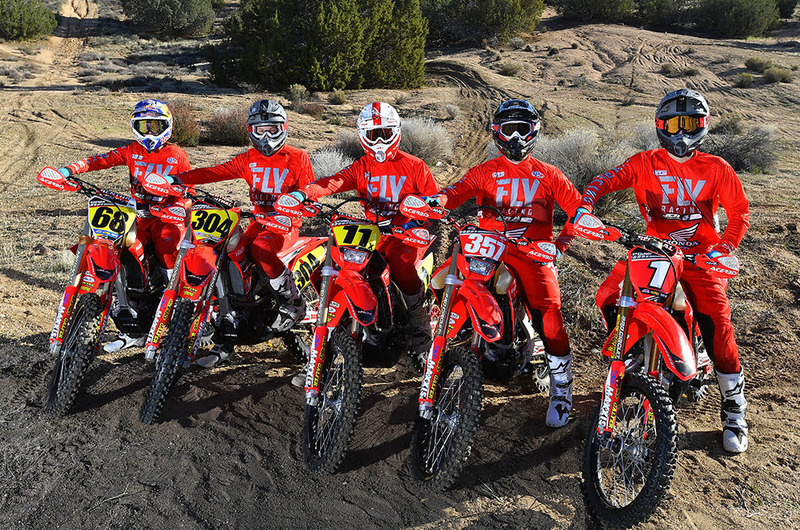 We pitted Trevor and his CRF450RX at the 55-minute mark for fresh 100% goggles and a tank full of VP racing fuel with our IMS dry break quick fill delivering a fast and smooth pit. Trevor finished on the box in second overall for the day and took over the “Red Plate” as the points leader going to round #3. Good job Trevor! In the Pro 2 division, Preston Campbell had his work cut out for him, rounding the first corner mid-pack out of a large 28 rider Pro 2 field. Preston moved to 7th by the end of lap 1. He continued to gain positions moving up to 3rd place. Pitting at the end of lap 4 he would ultimately land a top 5 position aboard his CRF250RX. The Women’s Pro class was the heater for the damp, cold day. JCR’s Tarah Gieger put herself in a position to challenge for the lead and eventually finding her way to the front at mid-race. 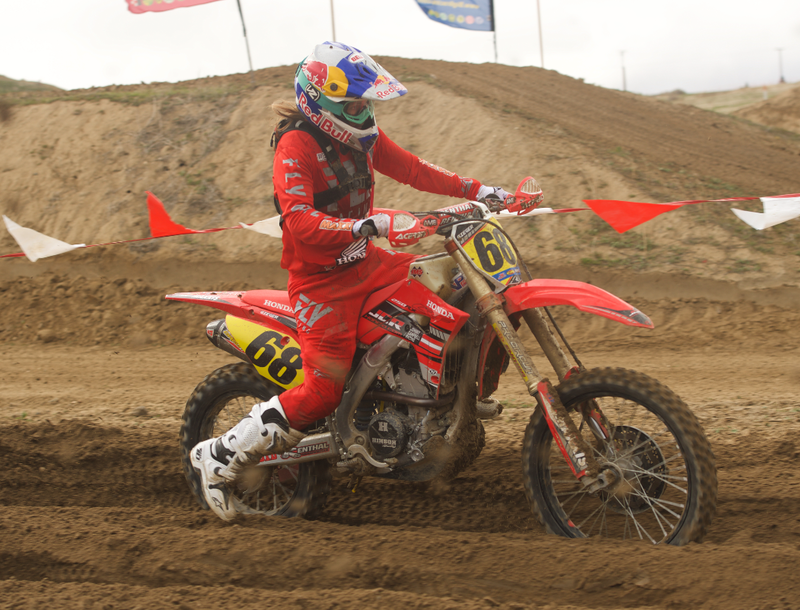 Tarah and her CRF250RX rode a solid race, ultimately finished 2nd on the podium for the day. Just like her JCR teammate in the Pro division, would walk away with the Red Plate and the women’s Pro class series points lead! Great Job Tarah!